Hey vaccine deniers–it’s just simple math. Part deux. This article has been updated, and you can read it here. The comments section to this article have been closed, but you can comment at the newer version. A few days ago, I wrote an article discussing how antivaccination trope inventors could not understand the most basic elements of mathematics in reading a vaccine label. They misinterpreted some simple math like that the toxic level of a substance is several million times higher than what is injected. I suppose in the minds of vaccine deniers, 1=1 billion. Or 1 trillion. Or 4783.2226. It just depends. And if they can’t understand the simplest of math principles, assuming that they would understand population level statistics might be a really bad assumption. If the measles outbreaks in California, and particularly in and around Orange County, as well as New York City are because of non-vaccinators, then why aren’t we seeing outbreaks of everything not being vaccinated for? 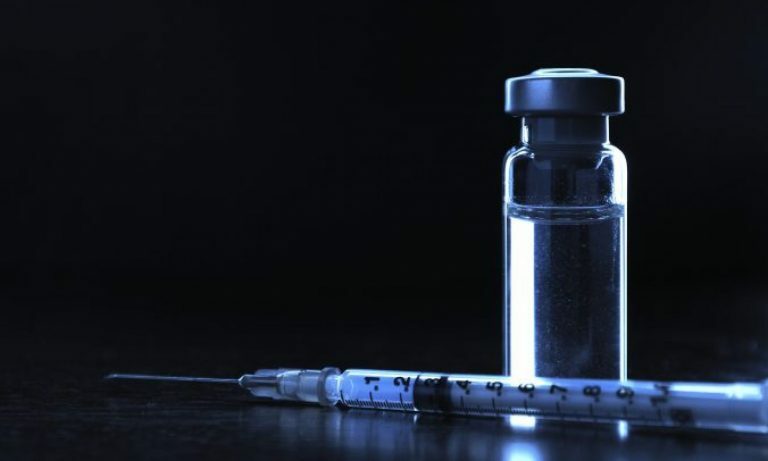 Why just measles and why all of a sudden, when the number of people opting out of vaccinations has actually steadily dropped in the last few years – after an initial wave of people not doing it? To answer their questions, 1) because the vaccination rate is still high enough for most vaccine preventable diseases that the herd effect may still protect those who are not vaccinated; 2) Why measles? Because it is a highly infectious and contagious respiratory disease. Without oversimplifying it, the measles virus, because it is passed from one person to another through coughing or sneezing, if one person carries it, the virus seems to search for all of those individuals who are not immune. The disease spreads faster when there are pockets of unvaccinated individuals. To back up their claim, Political Blindspot put up a graphic, from the CDC, as if that supported the contention that vaccine exemptions don’t lead to vaccine preventable disease outbreaks. The writers at Political Blindspot use this as the defining data that vaccine exemptions mean nothing to disease outbreaks. Non-vaccinators in NY are .1-1% of the population. In California we are talking 1.1-2%. Why aren’t we seeing increases in outbreaks in Vermont, Michigan and Oregon where the rate is over 6%? Correlation (or worse yet, public perception of correlation), is not causation: whether it’s vaccines and autism, or whether it’s a tiny number of people not vaccinating, and a few places having measles outbreaks. The reason is because vaccine exemptions aren’t perfectly and evenly distributed across a state or any geographic area. There are clusters of parents, whether because of some New Age belief in “natural” immunity, a religious sect, or for some other unscientific reason, who request exemptions at higher rates than the surrounding or general population. We would have to statistically sample each cluster, while not knowing in advance whether the cluster exists or not. So what we don’t know is how those exemptions are distributed within a geographic area. Using epidemiological techniques, we can, and have in this case, reviewed who was vaccinated and who wasn’t after contracting measles. In this way, we determine where the cluster of non-vaccination exists. An example of this kind of “eyeballing” data, rather than determining the size of the cluster, can been shown quite clearly in the 2012 US Presidential Election. ©Wikipedia Commons, 2014. Results of 2012 United States Presidential election by county. Red indicates counties that voted for Mitt Romney, blue indicates counties that voted for President Barack Obama. 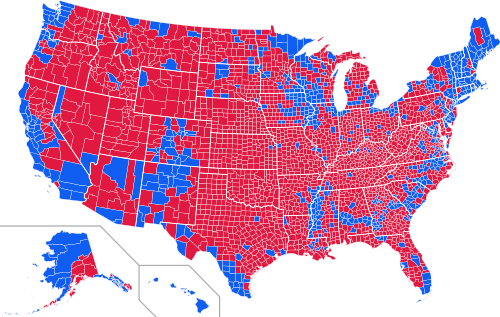 If you look at this map, it’s pretty clear that Mitt Romney won the election, because of the general appearance of much more red (representing counties that voted for Romney) as opposed to the blue. In fact, Romney won 2259 counties and Obama only 649. Sounds like a landslide election for Romney. Except, it wasn’t. We know that President Obama won 51.1% of the vote, because generally the blue counties are much more populous than the red ones, especially counties on the Pacific Coast and Northeast. This is just one example, but it shows how a visual examination of data, especially at a meta level can be deceiving. To determine a valid epidemiological correlation between the level of vaccination versus incidence of vaccine preventable diseases, we need to look at how both exemptions and disease outbreaks compare at the smallest geographic level possible. For example, a unvaccinated man infected with measles rode the public transportation system in San Francisco, which has an extremely high uptake of MMR vaccination (against measles, mumps and rubella), and there was no outbreak of measles. And yes, measles is so infectious and contagious, one person riding on one train could have caused a massive outbreak if there was no high quality herd effect as we found in SF. Measles cases were up over 80% in 2013 over 2014 in the USA. And over 80% of those infected were not vaccinated and occurred in very small clusters that had vaccine refusal rates substantially above the surrounding state and the USA as a whole. We all heard about the Texas church that had 21 cases of measles because their ignorant pastor said that vaccination was un-biblical (though he subsequently changed his mind, and told his sheep to get vaccinated). Texas has a low rate of vaccine exemptions, less than 2%, yet the outbreak happened, because within the state was a localized cluster of large rate of vaccine exemptions. Of course, vaccine exemptions are actually a terrible mathematical indicator of the uptake of vaccinations amongst children. The best one is to actually count how many children are vaccinated by state, and we have that data (and it can be drilled down to the county or city level). And even though a state may have high vaccine uptake, local areas are going to be problematic. More than that, we have plenty of scientific evidence that higher exemption rates lead to higher vaccine preventable disease rates. In fact, a recent study actually examined, with that real math called statistics, how exemption rates were highly correlated with risk of preventable diseases. And they didn’t eyeball a map, trying to make a nonsensical, ignorant analysis of clusters of disease. No, they used real math, and frankly, not a type of math beyond the grasp of a reasonably educated person, to show real correlations. Here’s how it works. You can find data that supports anything you want. It doesn’t mean it is well done data. It doesn’t mean it’s actually statistically significant. But I guess you could be antivaccination writer for Political Blindspot, find a pretty map, and then cherry pick (poorly at that) data to support your unsupported beliefs. Or you can use real math, dig for real data, and find out what it tells you with mathematical analysis. The authors had to go through the peer-reviewed process and get their article published in Pediatrics. Oh, also the authors of the real science article that uses real math all have MD’s and/or master’s/doctorates in Public Health. And years of real scientific and public health experience. A total of maybe 100 years of education and knowledge. Versus some fool, who appears to lack even 3rd grade math, writing on a website filled with lunatic conspiracy theories and nonsense. But as I’ve found out, it’s the simple math that stumps the antivaccination cult. Numbers confuse them, so they need to bring out a pretty map and completely misinterpret what it says. I guess we all need to point that out once in a while. 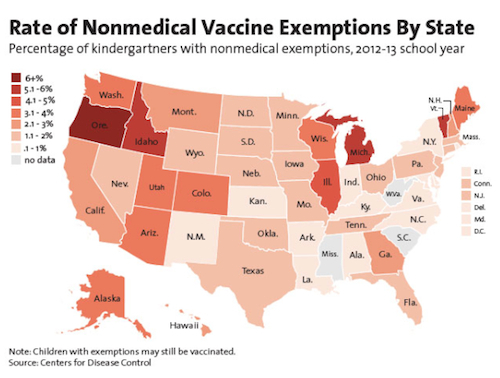 Blank, NR, Caplan AL, Constable C. Exempting Schoolchildren From Immunizations: States With Few Barriers Had Highest Rates Of Nonmedical Exemptions. Health Aff. July 2013; 32(7); 1282-1290. doi: 10.1377/hlthaff.2013.0239. PMID: 23836745. Impact factor: 4.641. Imdad A, Tserenpuntsag B, Blog DS, Halsey NA, Easton DE, Shaw J. Religious Exemptions for Immunization and Risk of Pertussis in New York State, 2000–2011. Pediatrics 2013;132:1–7. doi:10.1542/peds.2012-3449. Impact factor: 5.437.